Is this, or is this not the most perfect dress of all time? 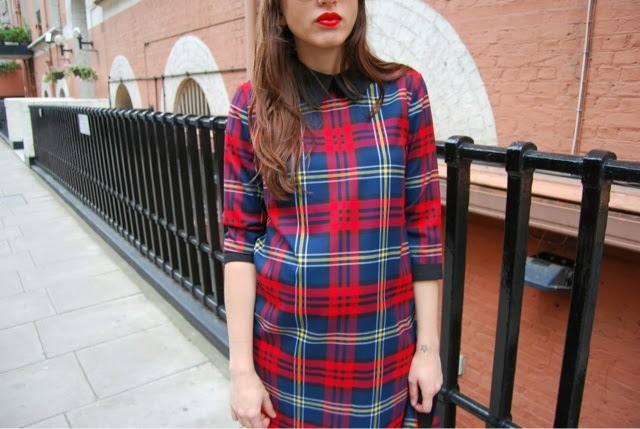 It's tartan, it's shape is so flattering AND it already has a collar so I've saved the time trying to find my own - spot on. What could make it even better? It has a matching cardigan. 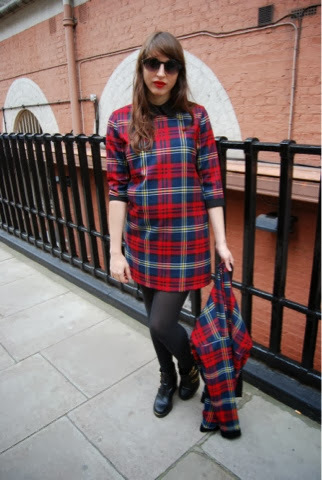 Sister Jane, you have been the answer to my Autumnal Fashion prayers. Have you found your go-to statement for this autumn? 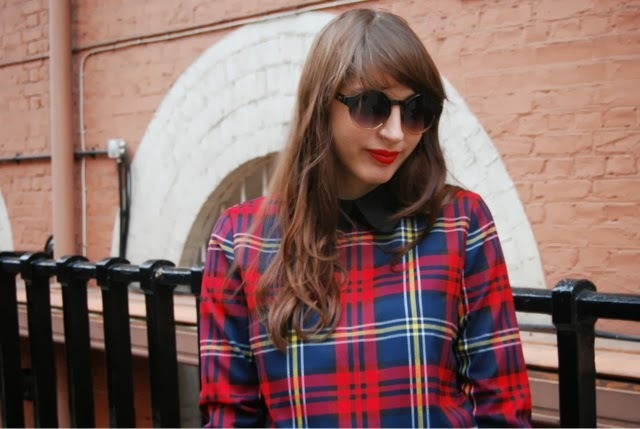 Love the red tartan with a red lip!